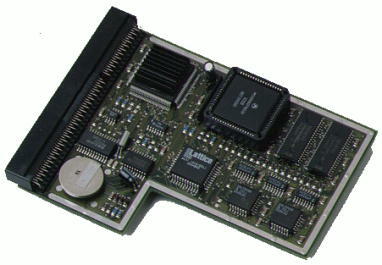 This card contains an overclocked 030 running at 42Mhz, however there is a heatsink on the 030 to help dissipate heat. The amount of RAM onboard is fixed and so cannot be upgraded. The card includes a battery backed up clock.